ONE of the best ways to showcase the beauty of a place is none other than inviting photographers into its embrace. 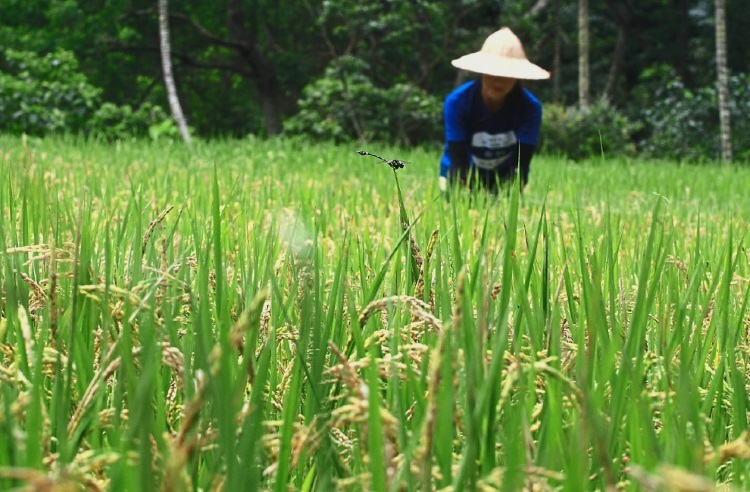 A farmer tending to the padi field at TouCheng Leisure Farm. 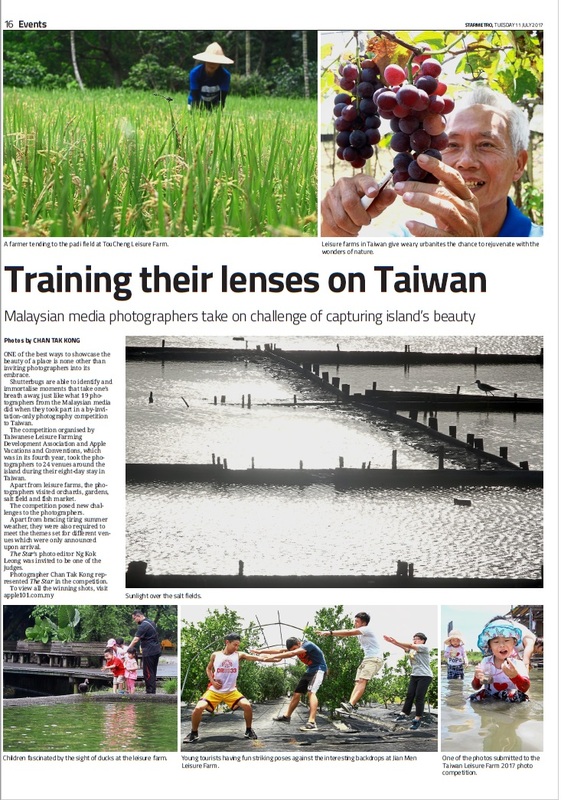 Shutterbugs are able to identify and immortalise moments that take one’s breath away, just like what 19 photographers from the Malaysian media did when they took part in a by-invitation-only photography competition to Taiwan. 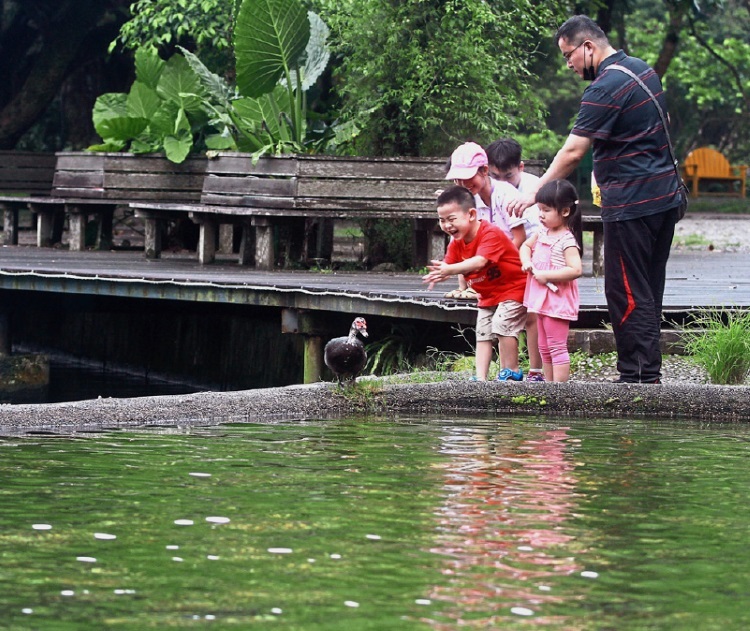 Leisure farms in Taiwan give weary urbanites the chance to rejuvenate with the wonders of nature. 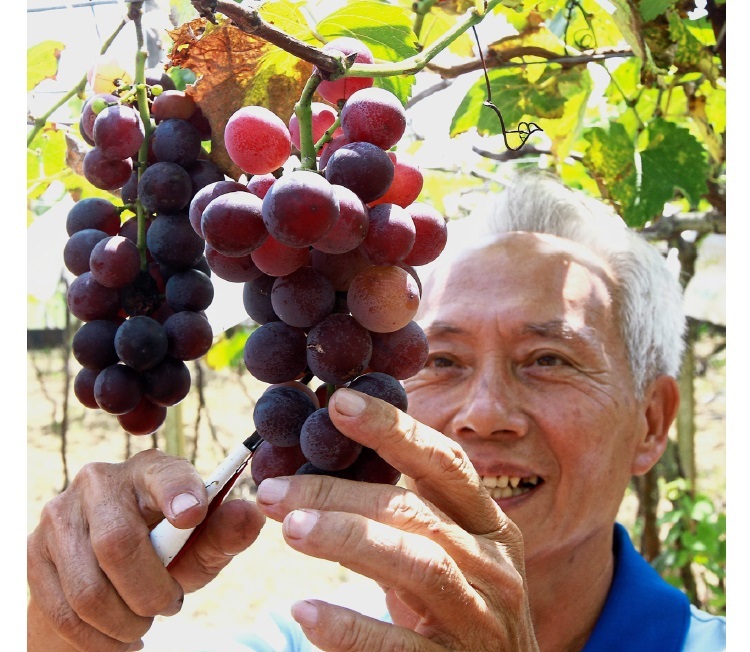 The competition organised by Taiwanese Leisure Farming Development Association and Apple Vacations and Conventions, which was in its fourth year, took the photographers to 24 venues around the island during their eight-day stay in Taiwan. Apart from leisure farms, the photographers visited orchards, gardens, salt field and fish market. 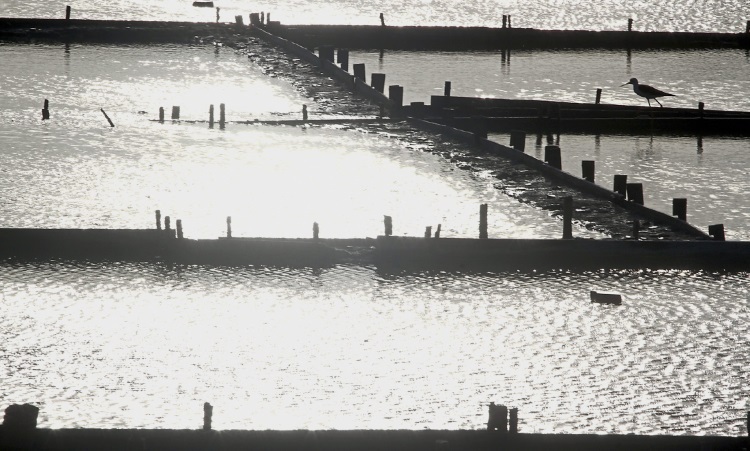 Sunlight over the salt fields. The competition posed new challenges to the photographers. Apart from bracing tiring summer weather, they were also required to meet the themes set for different venues which were only announced upon arrival. 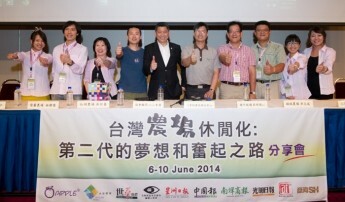 The Star’s photo editor Ng Kok Leong was invited to be one of the judges. Children fascinated by the sight of ducks at the leisure farm. Photographer Chan Tak Kong represented The Star in the competition. 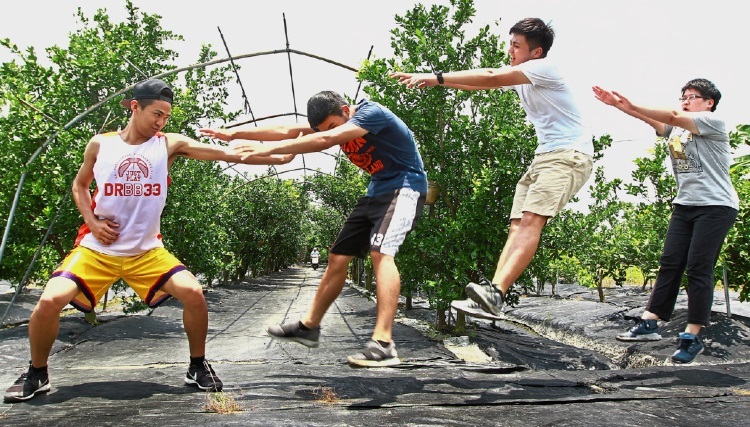 Young tourists having fun striking poses against the interesting backdrops at Jian Men Leisure Farm. One of the photos submitted to the Taiwan leisure Farm 2017 photo competition. 2019 © APPLE 101° SDN BHD. Apple Vacations & Conventions Sdn Bhd would like to alert members of the public to a company that is falsely using the Apple Travel name and logo. 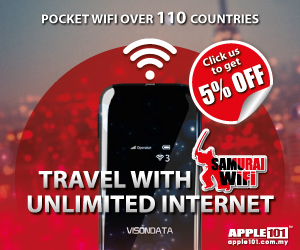 Please note that Apple Japan™ is not a division or franchise of Apple Vacations & Conventions Sdn Bhd nor is it connected to any of the Apple Vacations & Conventions Sdn Bhd company. Apple Vacations & Conventions Sdn Bhd (ROC 220677 - X & KKKP 2253) would like to reiterate that Apple Japan™ has no relationship in any shape or form to us and do not represent us at all. We are aware that Apple Japan™ is conducting online sales of tour packages which requires individuals to reveal personal and banking details. We recommend that members of the public do not provide any personal details or banking details to anyone making a fraudulent attempt to obtain payments from individuals and advise that the necessary checks be conducted prior to revealing any information or making any payment. With regards to the unauthorised use of the Apple Travel name and logo which are registered trademarks, Apple strongly condemns this unethical behaviour and will be pursuing legal action. 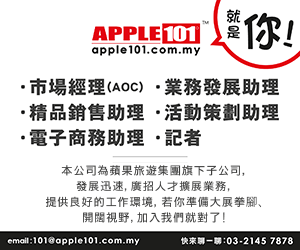 DISCLAIMER: Apple Vacations &mp; Conventions Sdn Bhd is not responsible for any loss of data, security breaches, fraud or damage of any kind resulting from, caused or attributed portals, websites or e-mail domains which are not authorised by Apple Vacations & Conventions Sdn Bhd.